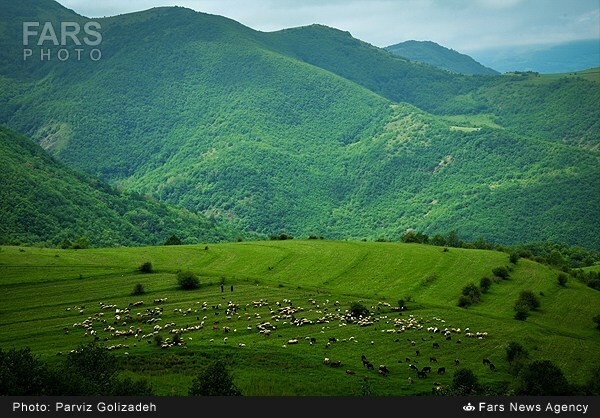 Financial Tribune- The dossier for Arasbaran Forest in East Azarbaijan Province will be submitted to UNESCO this week, as authorities eye Iran’s second natural site on the coveted World Heritage List. Last year, Lut Desert became Iran’s first natural site on UNESCO’s list. “The document is ready for submission,” IRNA quoted Morteza Abdar, the head of the provincial office of Iran’s Cultural Heritage, Handicrafts and Tourism Organization, as saying. Abdar added that both ICHHTO and the Department of Environment worked together to prepare the dossier. If approved, the dossier will be reviewed by the World Heritage Committee during the committee’s 41st session (July 2-12) in Krakow, Poland. Officials believe the region’s infrastructure drastically needs restoration but acknowledge that it is necessary to keep the constructions ecofriendly. One of the distinctive features of Arasbaran Forest is its plant diversity. It contains 1/19 of Europe’s plant diversity and 1/4 of France’s. Despite covering only 5% of the country’s total area, the forest boasts 13% of Iran’s vegetation and is home to 29% of mammal, 44% of bird, 32% of amphibian, 9% of fish and 20% of reptile populations in the country. Another feature that enhances the cultural and historical value of the forest is the presence of Shahsavand nomads, a tribe that has inhabited the region for centuries. In 1976, about 72,460 hectares of the region were registered as a biosphere reserve by UNESCO’s Man and the Biosphere Program. Iran is home to 21 world heritage sites, more than any other country in the Middle East.